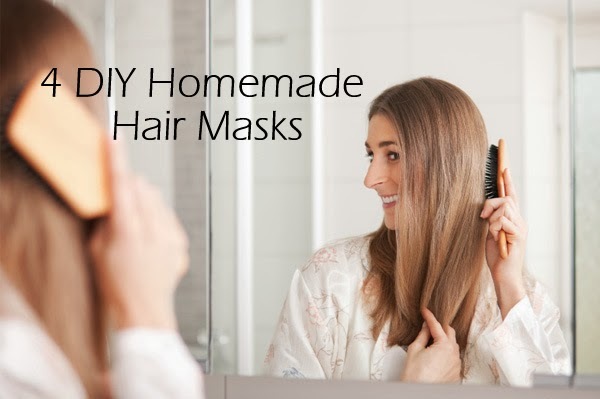 Homemade hair mask is something that you can treat your hair with for some healthy looking locks at home. You can buy some deep conditioning treatments off the shelves but natural home remedies are the best right? Best hair mask DIY’s can be done off the items you already have at home and can be done for cheap too. Protein conditioners, Deep conditioners and masks to control frizzy hair are all possible. To know more about the best hair masks from your kitchen, scroll down. DIY Deep conditioning mask for damaged hair. If your hair is getting thinned out and feeling really dried and damaged especially at the ends, it’s likely that your hair needs more protein to boost it up. You can find protein conditioners and keratin based ones at salons but for a homemade project, for this, dissolve a packet of gelatine in hot water and once it’s about warm massage it onto your hair. If you seem to have lost moisture in your hair and it doesn’t seem soft and silky you need to get yourself some eggs and avocados right now! Whip up an egg and blend it with about half an avocado and apply the past on the dry areas then tie you hair up into a plastic bag and let it sit for about a good hour. Rinse your hair afterwards really well using cold water (Hot water will cook the eggs!). And also be sure to wash your hair really well since the smell of the eggs can be very strong. Does your hair look flat and doesn’t have any exciting shine to it? Try this mask using 2 tablespoons of acacia honey, a tablespoon of olive oil and a table spoon of apple cider vinegar and apply the mixture to your hair and comb through your hair to spread the mixture and leave it on for an hour before you rinse it. You can try apple cider vinegar by itself too. For this you will need ½ a cup of honey, ½ a cup of yogurt and a tablespoon of almond oil. Apply the mixture to the entire length of your hair and let it sit for about 30 minutes and rinse it off. I really want to try a hair mask! I think my hair could certainly use it. The micro bead hair extension will then be compressed with pliers to close the circle.